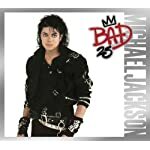 BAD 25th Anniversary Editions Available Now! 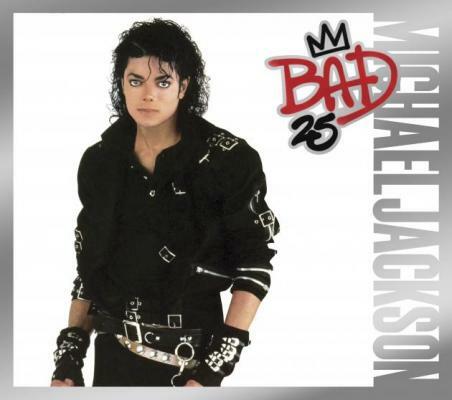 BAD25 Anniversary Edition 2CD: This is the most highly anticipated project and it is out today! The First CD includes all 11 iconic tracks from the 1987 release which have been re-mastered. CD Two offers fans a chance to hear thirteen rare and never heard before additional tracks, 6 of which are previously unreleased demo recordings created at Michael’s Hayvenhurst studio during the BAD sessions. This is an absolutely must-have for the Michael Jackson fan. BAD25 Deluxe Edition 3CD/1DVD: The BAD25 Deluxe Edition is for the ultimate fan who needs it all! It is a 3CD/1DVD package that captures the artistry of the King of Pop during the BAD era. It includes not only the re-mastered original album and the 13-track bonus disc with unreleased demo recordings, rarely released tracks like the French and Spanish versions of “I Just Can’t Stop Loving You” and new remixes. Then there’s the DVD of the full concert performance from MJ’s historic BAD World Tour – the concert at Wembley Stadium on July 16, 1988. And EXCLUSIVE to this package – a live CD, the first ever Michael Jackson live CD! Experience the July 16, 1988 concert on the DVD and on CD. The set also includes two collectible booklets with photos never or rarely seen before. A must have for your collection. BAD25 Deluxe Collector’s Edition: This is the Ultimate Collection ofBAD25. A limited edition that takes the 25th anniversary of BAD to the next level. 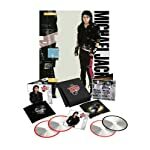 It includes the Deluxe Package PLUS a 7-inch vinyl, an exclusive T-shirt, a BAD Tour souvenir package, plus more, housed in a buckled and zipped BAD-themed case. Pre-order this edition now, exclusively at the official store, and get an instant MP3 download of “Bad (Remix by Afrojack featuring Pitbull)”. Michael Jackson Live At Wembley DVD: A stand-alone DVD of Michael Jackson’s legendary July 16, 1988 concert at Wembley Stadium. The concert is not a compilation of performances, but rather one complete show, exactly as Michael performed it for Prince Charles, Princess Diana and the 72,000 fans who were in the audience for that night’s sold out show. The DVD was sourced from Michael Jackson’s personal VHS copy of the performance as shown on the JumboTrons during the concert. Check out everything at the Michael Jackson Official Store!